Ultrasonic Sensors: Advantages and Limitations | MaxBotix Inc.
Ultrasonic sensors are a great fit for many applications, but it’s always good to understand that every product has limitations on what it can do. This article goes into the advantages and limitations of ultrasonic sensors so that you know if our sensors are right for you. These are a few ultrasonic sensor advantages that help clarify what applications our sensors are suited for. 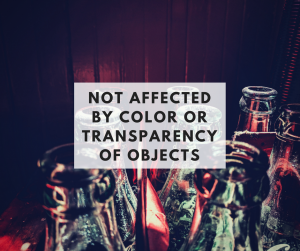 Ultrasonic sensors reflect sound off of objects, so the color or transparency have no effect on the sensor’s reading. 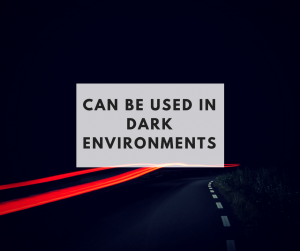 Unlike proximity sensors using light or cameras, dark environments have no effect on an ultrasonic sensor’s detection ability. Our sensors start at $29.95. They come fully calibrated and ready to use. 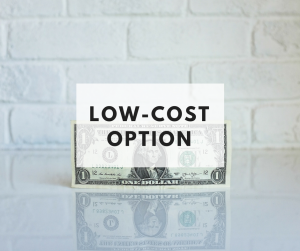 We strive to give a low cost, high-quality product suited for specific needs. 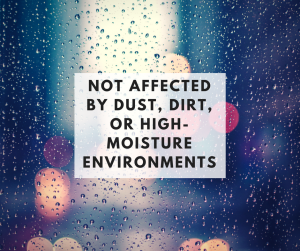 Although our sensors work well in these environments, they can still give incorrect readings with a heavy build-up of dirt or water, especially in extreme conditions. However, our SCXL-MaxSonar-WR line is self-cleaning and can help decrease the effects of things like condensation. Although we fully believe in the capability of our sensors, we understand that ultrasonics are not suited for every application. 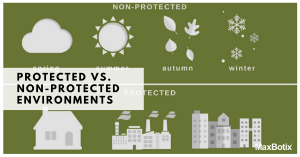 Below we go into the limitations of our sensors, and how we have overcome some of these problems. Because ultrasonic sensors operate using sound, they are completely nonfunctional in a vacuum as there is no air for the sound to travel through. Our sensors have not been properly tested in this environment, so underwater use voids our warranty. This being said, we do supply documentation for customers who would still like to test our sensors underwater. If you are interested in underwater applications with ultrasonics, check out our articles on Water Depth Sensing with Ultrasonics and Underwater Ranging for more information. Objects covered in a very soft fabric absorb more sound waves making it hard for the sensor to see the target. Although this is true, we have a variety of temperature compensated sensors available that either calibrate upon start-up or before every range reading depending on the sensor model. During this time is when the sensor will calibrate with any change in temperature, voltage, etc. This dramatically decreases this problem. At the moment, our longest range sensors have a maximum range of 10 meters. While this is a disadvantage in certain applications, our sensors have great mid-range capabilities and are still suited for many applications. Want to Start Using Ultrasonics? If you think ultrasonics are the right fit for you, hop over to our sensor product catalog to take a look at our sensor selection. If you need further help with selecting the right sensor for you, please contact our support team at [email protected] or give us a call. We are always happy to help! 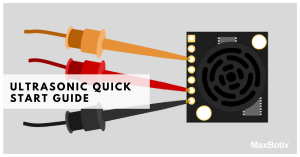 Ultrasonic Sensor Quick Start Guide! 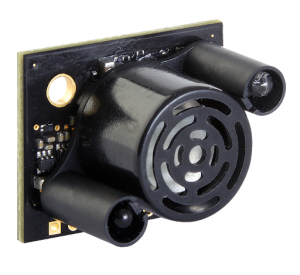 Ultrasonic sensors are a great fit for many applications like distance measurement and level sensing . 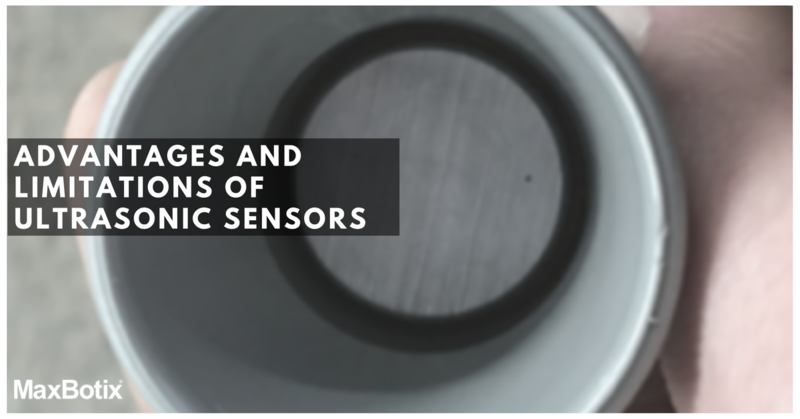 This article covers the advantages and limitations of ultrasonic sensors so that you know if our sensors are right for your application.